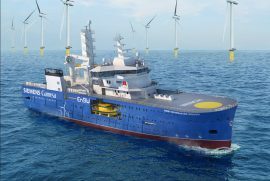 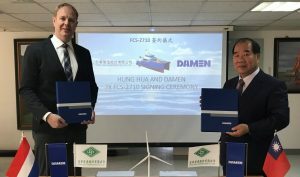 Dutch marine services provider Herman Sr. and Damen Shipyards Group have signed an order for the first Damen Shoalbuster 3514 at the Offshore Energy Exhibition & Conference 2018 in Amsterdam. 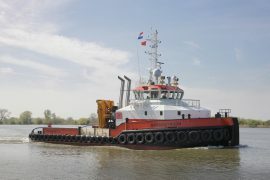 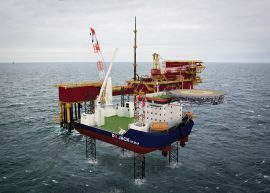 Herman Sr. intends to use the newly-developed DP2 vessel for various works in the offshore wind sector. 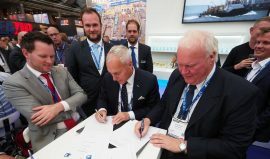 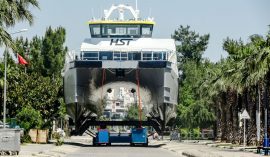 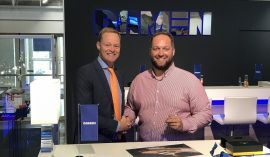 Damen Shipyards Group signed a contract with High Speed Transfers (HST) for a Fast Crew Supplier (FCS) 2710 during the Global Wind Summit in Hamburg. 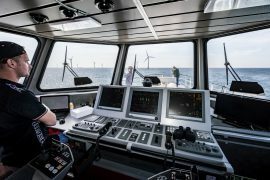 Damen Shipyards Group, Ampelmann and VEEM demonstrated the capabilities of their joint marine access solution – a Damen Fast Crew Supplier 5009 equipped with an Ampelmann L-type gangway and two VEEM VG 260SD gyro stabilisers – at the end of June on Eneco’s Princess Amalia offshore wind farm in the Netherlands. 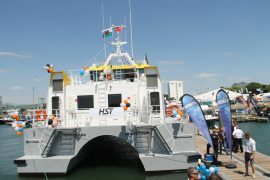 High Speed Transfers (HST) held a naming ceremony for its Damen Fast Crew Supplier (FCS) 2710 on 3 July in Southampton, where the Seawork 2018 exhibition is currently taking place. 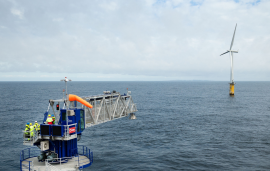 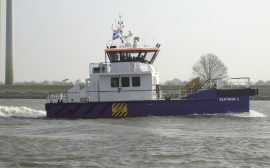 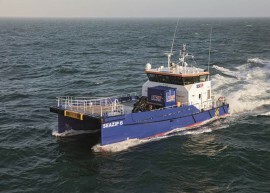 Seazip Offshore Service has chartered crew transfer vessel (CTV) SeaTwin 2 from Damen Marine Services for an ROV campaign at the Nordsee Ost offshore wind farm. 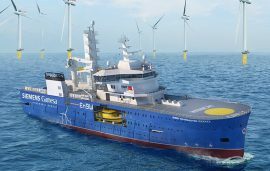 Damen Shipyards has signed a contract with SMST for the delivery of an access and cargo tower and 3D motion compensated crane for Bibby Marine Services’ second WaveMaster service operations vessel (SOV) currently being built at Damen Shipyards Galati in Romania. 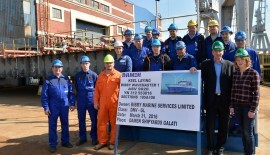 Damen Shipyards has held a keel-laying ceremony for Bibby Marine Services’ second WaveMaster Service Operations Vessel (SOV) at Damen Shipyards Galati in Romania. 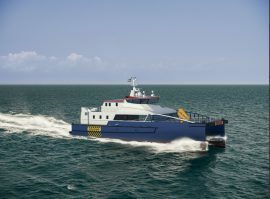 Damen Shipyards Group is rolling out a new Fast Crew Supplier class – the FCS 2710 – an upgraded version of its FCS 2610. 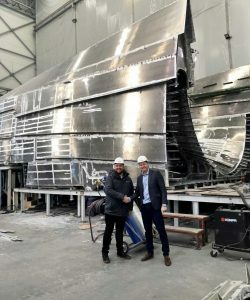 The first FCS 2710 is already under construction at Damen Shipyards Gorinchem and will be delivered to High Speed Transfers (HST) in July 2018. 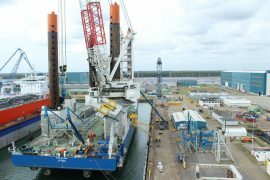 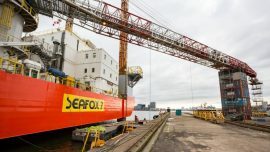 The 75.5-metre self-elevating jack-up Seafox 7 has undergone its second five-year survey and maintenance works at Damen Shiprepair Amsterdam (DSAm). 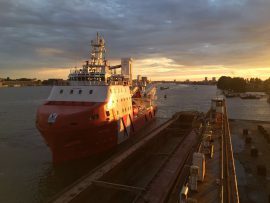 Damen Shiprepair Oranjewerf has completed final outfitting and modifications on a second subsea-support walk-to-work (W2W) vessel for Vroon Offshore Services – VOS Stone. 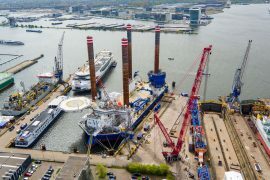 VOS Start has left Damen Shiprepair Oranjewerf and is set to commence its first project next month, providing logistics support, accommodation and walk-to-work (W2W) capability for MHI Vestas at the Walney Extension offshore wind farm. 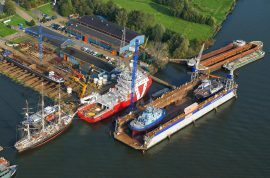 Van Oord has signed a contract for modification of its offshore installation vessel Aeolus with Damen Shiprepair at Schiedam. 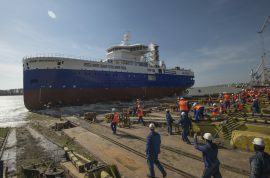 Damen officially launched the Bibby WaveMaster 1 service operations vessel (SOV) at its Galati shipyard in Romania on 24 March.